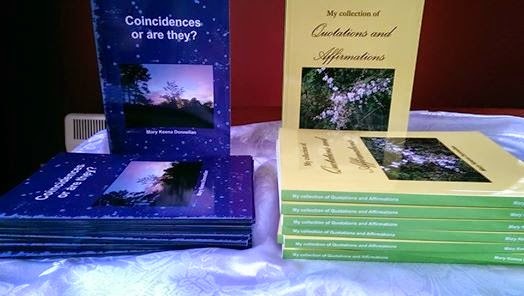 Angels Love and Light : Copies of my two books. Copies of my two books. My delivery of 10 copies of each of my books, arrived today. I've sold four of each already. I'll be selling them at the charity event for Hand to Hand in Gullane's Ballinasloe on September 6th. If anyone wants to order or preorder could you let me know please. I may need to order more. Available by post to you too, signed by ME.